The location is ok. The shuttle is really convenient! room was locked off bedroom of condo, no room, ridiculous rules. no service. Perfect. Very good location and easy access with the shuttle bus from the condo. Room with fireplace, kitchen well equipped, comfortable bed. They also have heated locker for all the skis equipment. Our room, 1024, was a great location--close to the hot tubs and ski lockers. The room was more spacious than expected, a bonus was having two chests in the bedroom--one for each of us. Location was perfect . The condo was super clean and cozy. Love the fireplace and views. Great staff. The shuttle ran on time and was easy to use. Nice condo with a great location. Opposite of Vail village and far enough away for the interstate for a quiet stay. Steam room, sauna, hot tubs, and indoor/outdoor heated pool were great! The reservation listed the one bedroom condo having 1 queen bed and a sleeper sofa, but when we arrived it had 2 queen beds plus a sleeper sofa. Nice that we each had a bed to sleep in. The grandkids loved the pool, basket ball court and putt putt golf on property. We liked 5he convenient bike path to town and the shuttle. The room was very clean. The facility was very quiet and restful at night. The views of the opposite facing mountain were lush and green. Beauty on both a sunny or overcast day. Lock in a great price for Sandstone Creek Club Condominiums – rated 8.8 by recent guests! Sandstone Creek Club Condominiums This rating is a reflection of how the property compares to the industry standard when it comes to price, facilities and services available. It's based on a self-evaluation by the property. Use this rating to help choose your stay! 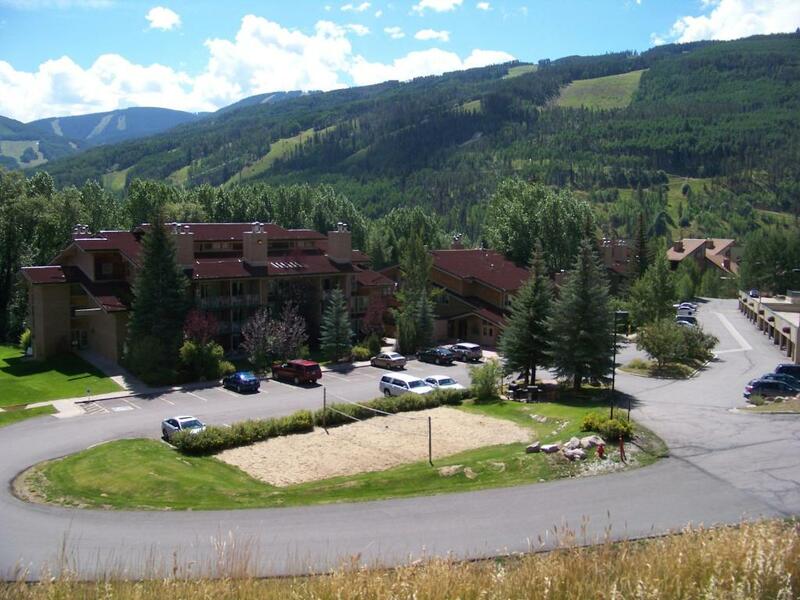 One of our top picks in Vail.Showcasing a hot tub and ski storage, Sandstone Creek Club Condominiums is located in the Sandstone neighborhood in Vail. Breckenridge is 22 miles away. Free private parking is available on site. All units include a flat-screen TV. Some units feature a dining area and/or balcony. A microwave and coffee machine are also available. There is also a kitchen in some of the units fitted with a dishwasher, a toaster, and a refrigerator. There is a private bathroom with a bathtub in every unit. Towels and bed linen are provided. Sandstone Creek Condo also includes a sauna. 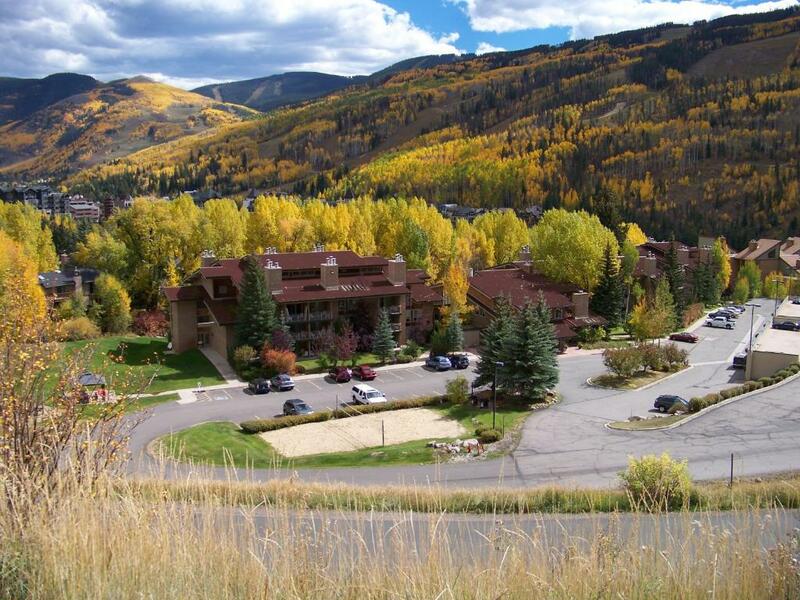 Sandstone Creek Club Condominiums provides a free shuttle service during the ski season to Vail ski area. 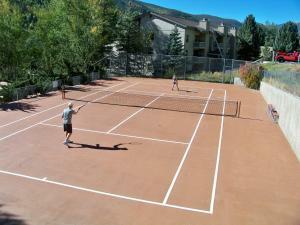 You can play tennis, ping-pong and pool at the property, and the area is popular for skiing and hiking. Frisco is 17 miles from Sandstone Creek Club Condominiums. Eagle County Regional Airport is 34 miles from the property. 뀐 Located in the top-rated area in Vail, this property has an excellent location score of 8.7! When would you like to stay at Sandstone Creek Club Condominiums? This apartment features a King bed in one of the bedrooms and a Queen bed and a Twin bed in the other bedroom. A living room with a gas fireplace and a Queen sized sofa bed is also available. There is also a full kitchen and 2 full bathrooms. Please note that the price is based on 1 to 4 guests. Maximum occupancy is 6 (see Hotel Policies). This apartment features a Queen bed and a Twin bed in the bedroom and a sofa bed in the living room. There is a fully equipped kitchen and 1 full bathroom, as well as 2 flat-screen TVs and 2 DVD players. Please note that the maximum occupancy is 4 (see Hotel Policies). A flat-screen cable TV with DVD player and an private bathroom is included in this room. Please note that the price is based on 1 or 2 guests. Contact the property for more information. Located on the 3rd floor of the Clubhouse, this apartment features a living room, a full kitchen and an private bathroom. A spiral staircase to a loft with 2 Twin Beds is also featured. Please note that the price is based on 1 or 2 guests. Maximum occupancy is 4 (see Hotel Policies). This apartment offers a fully equipped kitchen, 2 flat-screen cable TVs with a DVD player and a seating area with a fireplace and sofa bed. This unit has a queen sofa sleeper, full kitchen living area and a full bath, as well as a flat-screen TV with a DVD player. Please note that the maximum occupancy is 2 guests (see Hotel Policies). This apartment has a King bed in the Master bedroom, 2 Twin beds and a sofa bed in a loft and a living room with a sofa bed. There are also 3 flat-screen TVs, 2 DVD players and a full kitchen, as well as 2 bathrooms. Please note that the maximum occupancy is 6 guests (see Hotel Policies). This apartment features a 2 Twin beds and a sofa bed in a loft and a sofa bed in a living room. There are 2 flat-screen TVs with DVD players, as well as a full kitchen and bathroom. This apartment has a flat-screen TV, DVD player and microwave. House Rules Sandstone Creek Club Condominiums takes special requests – add in the next step! Sandstone Creek Club Condominiums accepts these cards and reserves the right to temporarily hold an amount prior to arrival. Please note that room cleaning services are not available for reservations of 4 nights or less. Please note: A refundable security deposit is charged to the guest's credit card upon booking. Please contact the hotel for details. Please inform Sandstone Creek Club Condominiums of your expected arrival time in advance. You can use the Special Requests box when booking, or contact the property directly using the contact details in your confirmation. A damage deposit of USD 100 is required on arrival. This will be collected by credit card. You should be reimbursed within 7 days of check-out. The room is not sound proof at all!!!! On one night, the girls next door was playing music really loud on their speakers and we can even hear them singing! In the morning, we can also hear their alarm clock ringing! No restaurant within 5 minute walking distance. No 07:00A shuttle for breakfast. No daily cleaning of the room. 4 years ago, I rented a 2 bedroom with loft that I loved. It faced south, I believe. The view was beautiful and the balcony was nice and big to sit and have coffee, This year we had one in the “club”, 1023 and 1025. The balcony was very small, we never used it. You only saw the building and a small portion on the hill behind the Sandstone. Also, the stairs to the loft were difficult to maneuver around. There wasn't much to not like. Grocery stores and food options (not including a pizza place that is close by) were pretty far. At least, a couple of miles of walking. Good spacious accommodation, a very helpful reception desk, and was a nice walk away from the venue of the conference I was attending. One of the shuttle bus drivers really had an attitude. Room was only cleaned once per week and they did not like to provide extra towels or linens. The management is somewhat Nazi like with procedures, such as charging a $75 late fee if not out of the room exactly by 10am and shutting off the key cards exactly at 10am. On cleaning day telling you if you don't let the staff clean when they come to the door they will not come back to later to clean. Making you do some of the work that is normally included with such facilities, such as taking garbage from unit to dumpster. Requiring the loading dishwasher and running prior to leaving. They communicated all the above in writing and stated that failure to comply with their requirements would result in an extra cleaning charge. Personally, I would rather pay an extra $100 for the week and not have to deal with this stuff while on vacation. As a result, I did not feel it was necessary to tip the cleaning staff for the limited services provided, which I normally do. Property was well maintained and clean. The bed left something to be desired, but the stay was great overall. Not within walking distance to the mountain base, but there is a shuttle bus stop at the entrance to the property that takes you to the village. The kitchen was extremely small- too small for 2 people to be in at 1 time. The bedding and pillows give way to the odor of frequent use. Night 2 I slept with a folded bath towel over the pillow, it was much better that way. Too often that simple fix of laundering pillows, using pillow covers and laundering them, and replacing pillows annually makes a huge difference. Everyone knows a great night of sleep starts with fresh smelling, cool, crisp sheets! It is the only negative thing I have to say about this treasure hidden in the mountain side of Vail, CO.